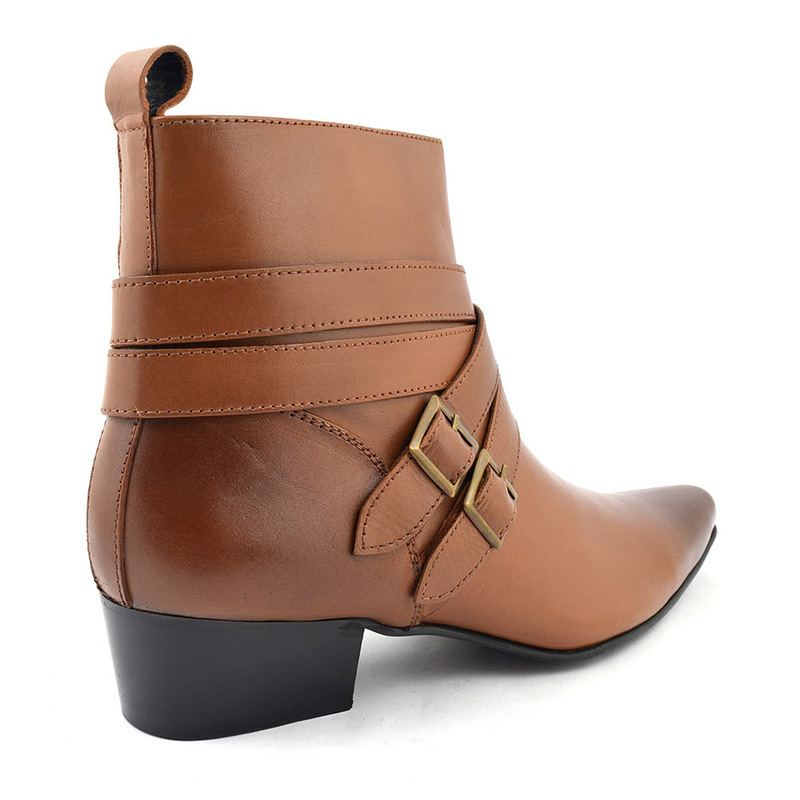 Funky tan cuban heel boots with a double buckle strap. 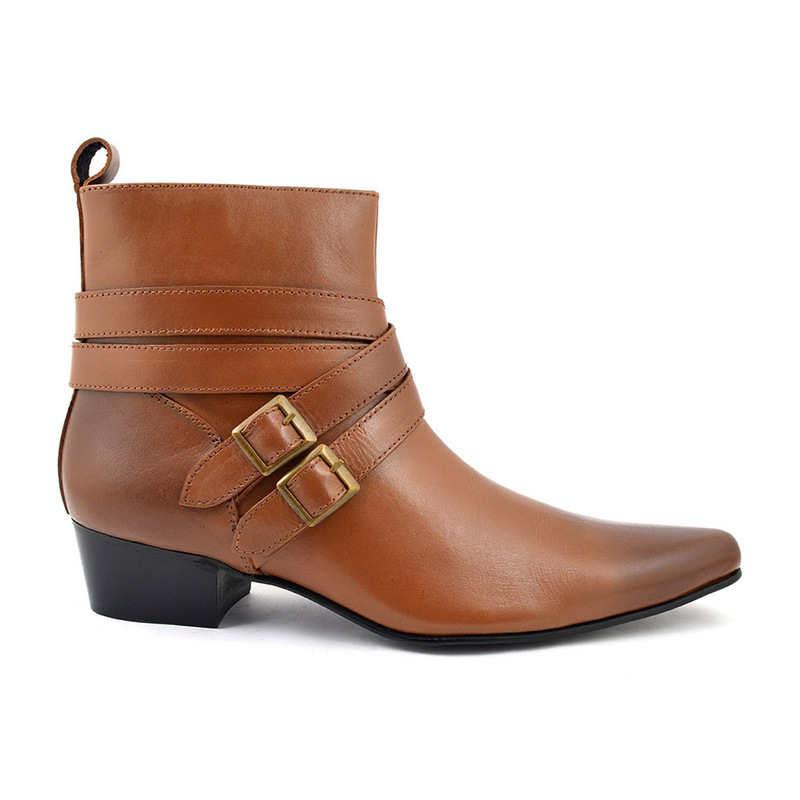 These boots zip-up and have a tab for ease of putting on and taking off. They have a pointed toe and a heel which is 45mm high. See below for which legends wore this style of boot. 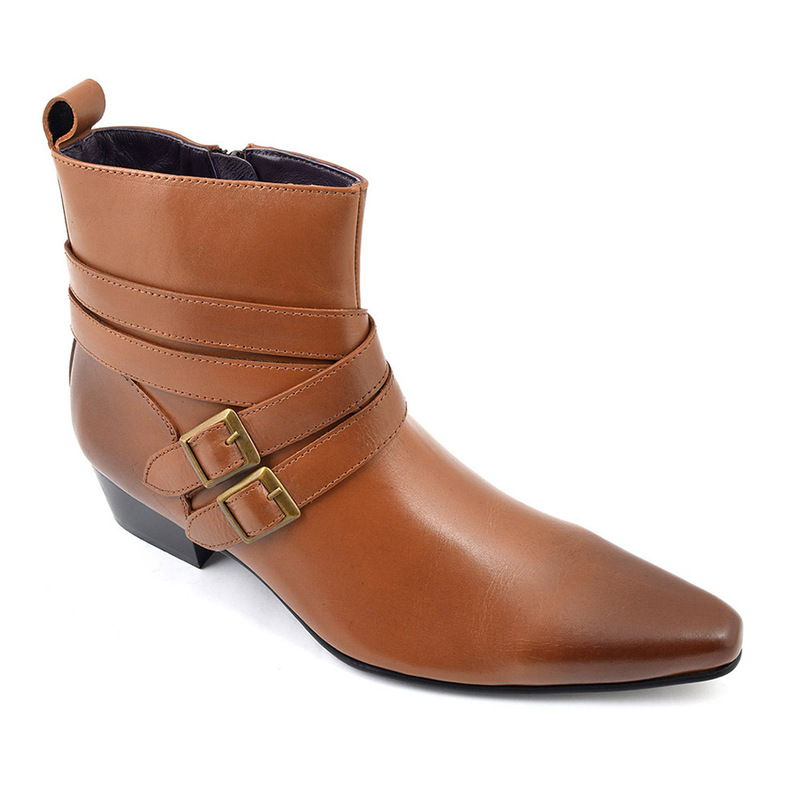 Super cool mens tan buckle heel boot for rocking your style. Breaking this boot down, it is also called a winkle picker. The fact it has a pointed toe is resonant of a sharp object such as one used to pick out your winkles from their shells and that is the reason behind the name. There is a high heel which is known as a cuban heel as it is found on the shoes of men dancing in Flamenco and other Latin dance. Although men have been wearing heels for centuries, yes centuries, they really came back in vogue in the 60s. Before we touch on that, going back in history we have to tell you that high heels were worn by men in battle! Yep. Riding a horse you needed a heel to steady yourself as you took a shot at your enemy. Fast forward to the 60s and you have the hippest of men wearing chelsea boots. We are talking the likes of the Stones. This was taken one step further by the indomitable Beatles who had a uniform they wore and to add to this, they wore chelsea boots but with a heel. Hence the name Beatle boot. Other sub-cultures also favoured this jazzy alternative boot such as mods. They loved the fact they could protect their ankles from the exhaust of their bike whilst looking super cool. 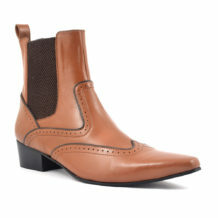 Rockers and Indie kids also have a love of pointed toe mens boots. 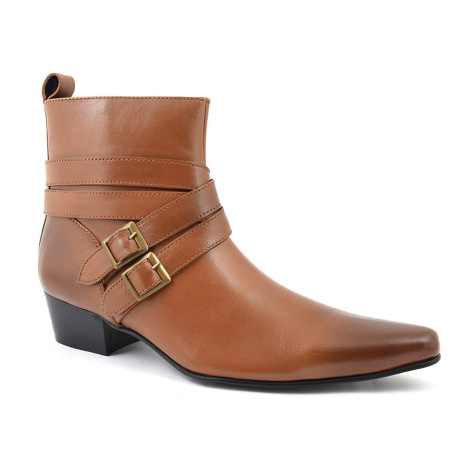 These tan cuban heel boots have a buckle which lends itself to that more grungy rock and roll look witnessed by bands like The Horrors. However you wear these tan cuban heels they will give you a style all of your own. Be the first to review “Arturo Tan Buckle Heel Boot” Click here to cancel reply.